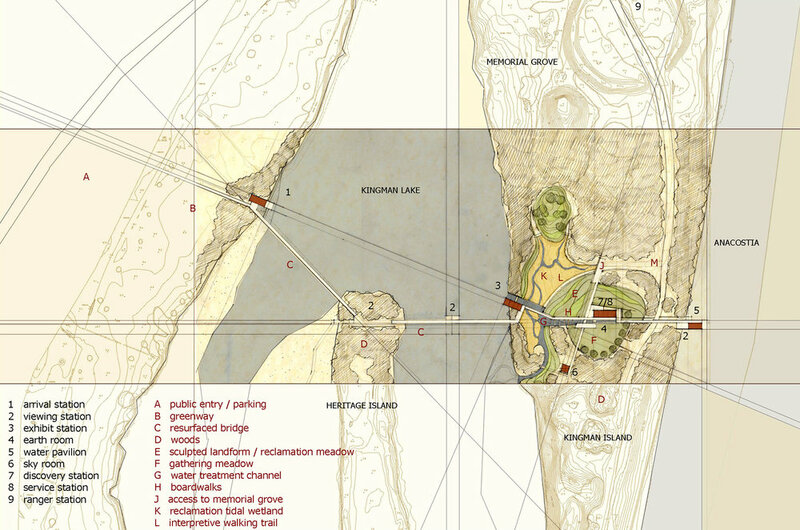 Proposal for an indoor/outdoor environmental education center on the Kingman and Heritage Islands of the Anacostia River. Built from fill collected after dredging operations, the islands are an entirely human construction. 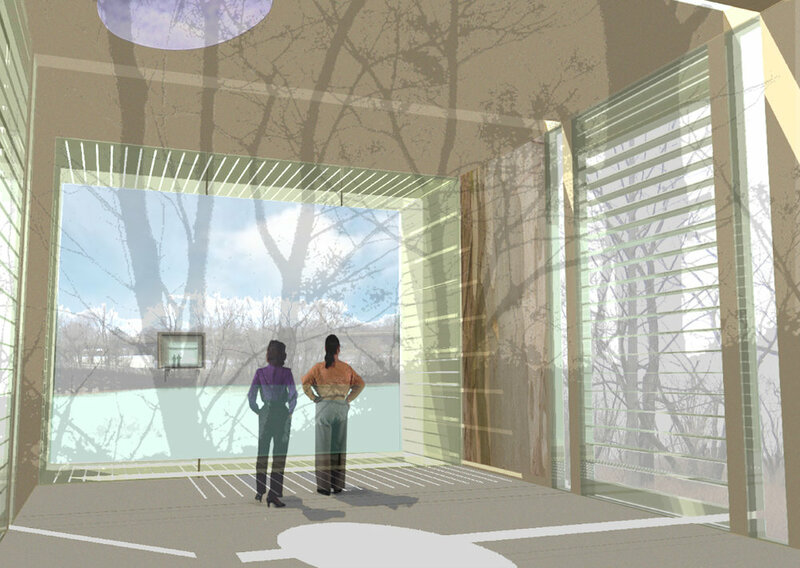 The design of the education center reclaims a landscape of debris, asphalt and litter, reshapes it into an inviting and functioning place, and renews it as a vital part of the Anacostia watershed system. Embedded in the landscape are Learning Stations dedicated to Earth, Water, Trees, and Sky. 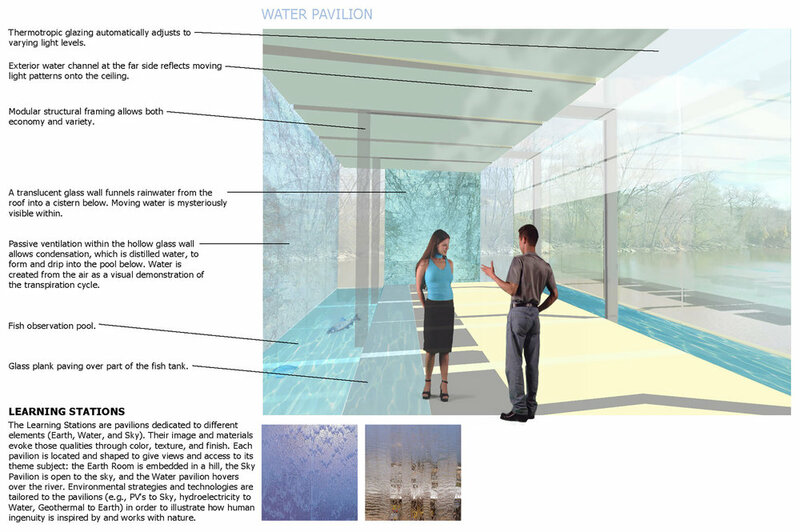 Each is located and shaped to give views and access to its theme subject: the Earth Room is embedded in a hill, the Sky Pavilion is open to the air, the Tree House hovers in the canopy, and the Water pavilion is partly immersed in the river. Environmental strategies and technologies are tailored to the pavilions (photovoltaics to Sky, hydroelectricity to Water, geothermal to Earth, etc.) in order to illustrate how human ingenuity is inspired by and works with nature. 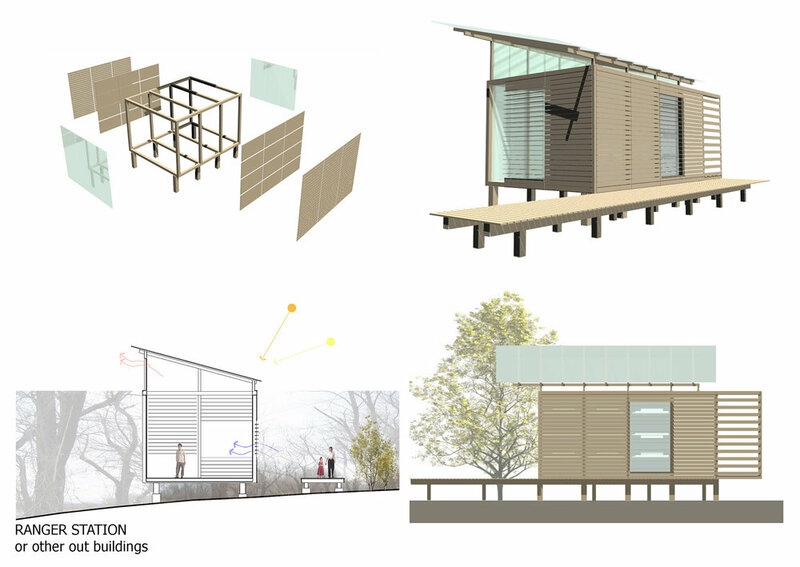 Prefabricated construction with a limited kit of parts leans toward environmental and economic efficiency.